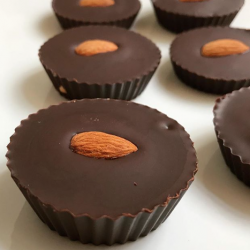 Whilst studying for a degree and working as a part-time guitar teacher in London, Jess started selling her homemade vegan cupcakes at markets and events. Her cakes were a massive hit so she started developing a larger range and her business grew and grew. She recruited Cara to her team, and as the two of them have been vegan for almost 10 years, they knew exactly what the vegan market was missing. Since starting up, Jess and Cara have worked closely with local, national and international charities, having recently supported Child.org by donating their profits, and Lotus Stray Rescue charity. As a company, they fully recognise the importance of global environmental sustainability and support ethical traders. They hope you will be as passionate about their cakes as they are!